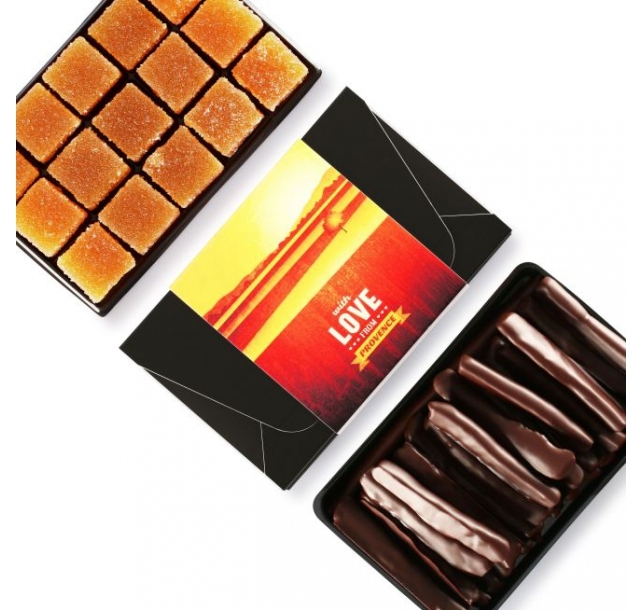 Description: Crisp hazelnuts from the south of France are combined with heady Madagascar vanilla, then rolled in 47.5% milk chocolate to create these bite-size morsels. 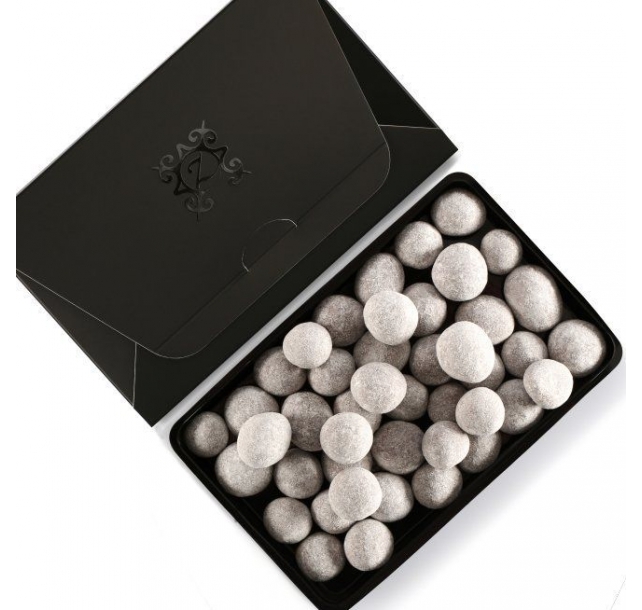 Complete with just a kiss of powdered sugar, our noisettines make an elegant hostess gift or thank you present. Description: Scrumptious Piedmont hazelnuts are roasted and caramelized, then finely crushed and blended with creamy 40% Ivory Coast milk chocolate to create this splendid spread. 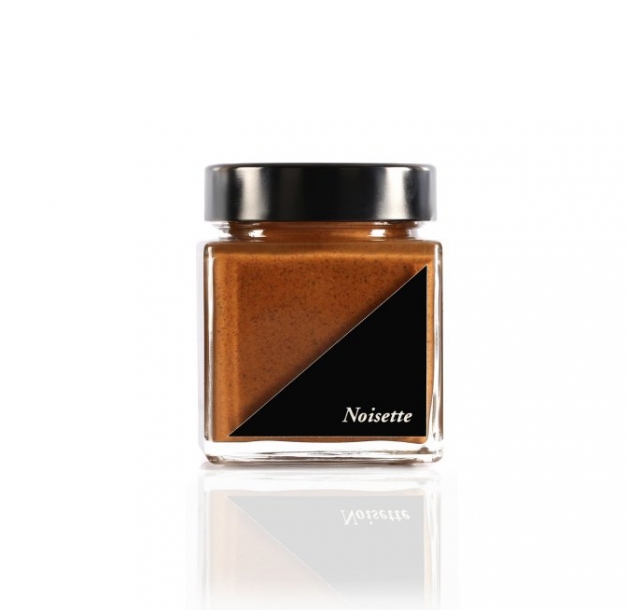 Fifteen whole caramelized hazelnuts are gently folded into the mix to add a crunchy texture. 53% hazelnuts, 20% chocolate and only 27% sugar. Description: Take someone you love on an auspicious journey into southern France with the Provence Jade 6. Brimming with regionally beloved recipes, it includes six separate assortments intended to satisfy even the stubbornest cravings for traditional confections like Calissons d’Aix, Pâtes de Fruits, Nougats, and chocolate-covered Provencal hazelnuts, plus a combination assortment and an assortment of our Exotic chocolates. 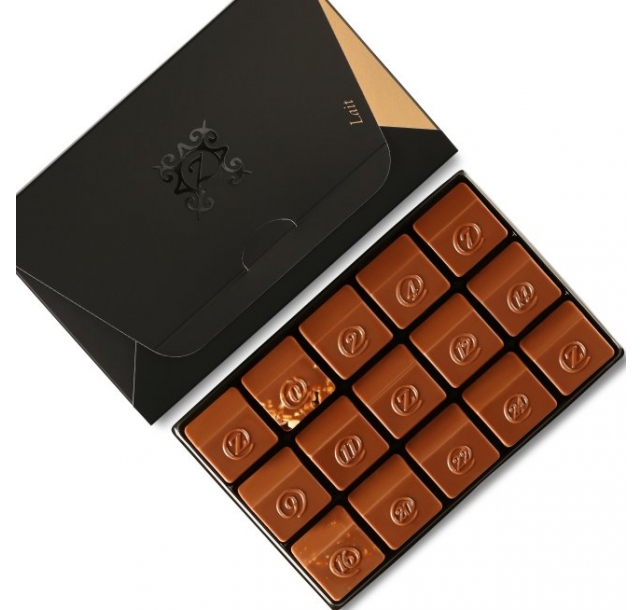 Delivered in a luxurious mahogany box, it’s an elegant way to experience the exceptional flavors of Provence. 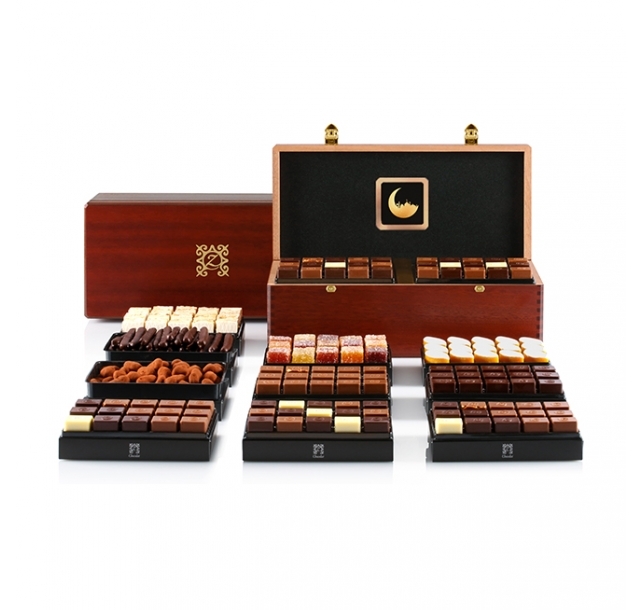 Description: Perfect for the Eid al-Adha family get-together – share with your close-ones this illustrious box of polished mahogany, displaying inside the lid an elegant mosque design and laden with an abundance of 287 alcohol-free and animal-fat-free French chocolates. This sumptuous box includes a traditional assortment, an exotic assortment, a praliné assortment, a dark chocolate assortment, a milk chocolate assortment, a nougat assortment, a orangette assortment, a calisson d'aix assortment, a pâtes de fruits assortment, truffles and chocamandines. 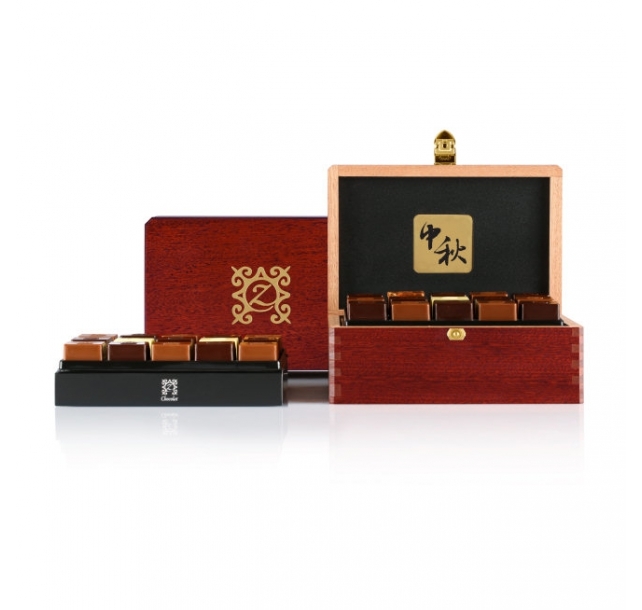 Description: Share glowing gourmet vibes with a close-one as this sophisticated polished Mid-Autumn mahogany box is graced with our entire Numbered Collection. The inside plate is adorned by a typical Korean greeting meaning: "Have an abundant thanksgiving". Description: Grace a close-one with a gift as shiny as the moon as this sophisticated polished Mid-Autumn mahogany box is replete with our entire Numbered Collection. The inside plate is adorned by a typical Japanese image representing rabbits in the moonlight. Description: Bestow a gift of symbolism to thank the moon as this sophisticated polished Mid-Autumn mahogany box is replete with our entire Numbered Collection. The inside plate is adorned by a Chinese calligraphy meaning: "Mid-Autumn Festival". Description: Flavorful Piedmont hazelnuts and silky single-origin cocoa are paired perfectly in this introductory package from the Easter Collection. 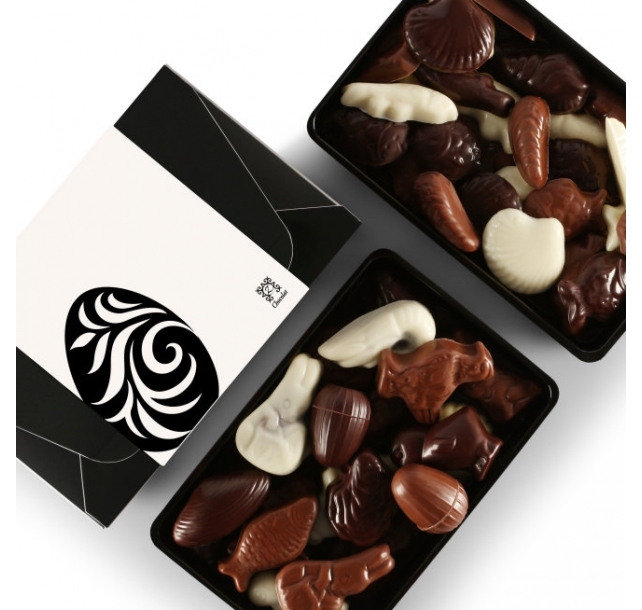 Made up of 15 solid chocolates and 11 pralines, the Easter Assortment is ideal for filling baskets and greeting friends. Description: Complete with two assortments of our famous all-chocolate pieces and premier hazelnut pralines, the Easter Duo is overflowing with 18 pralines and 36 solid chocolates for a dizzying double-dose of springtime indulgence. 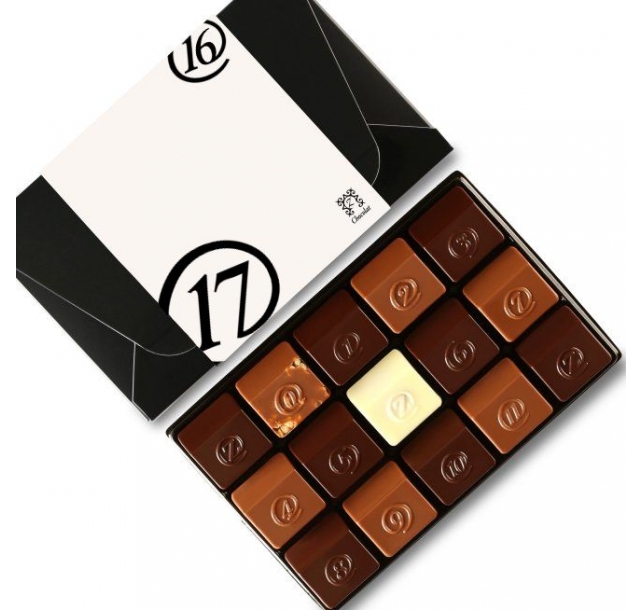 Description: Enjoy fifteen of our white Z chocolates in a single package. 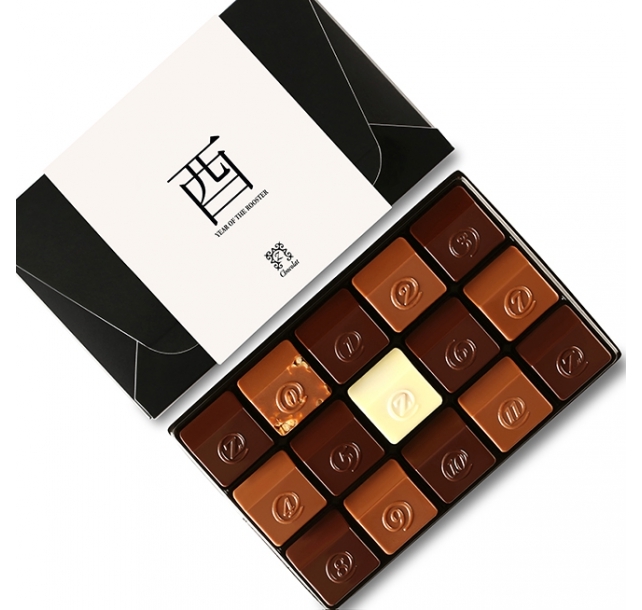 Each piece is a luscious duet of sweet-salty caramel and crunchy hazelnut praline, enveloped in velvety white chocolate couverture. A great way to savor this unique variation on our most popular recipe. 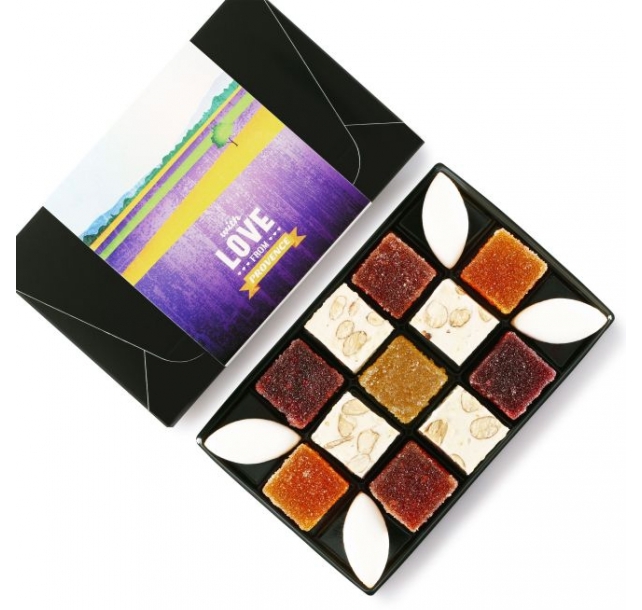 Description: The Provence 15 Piece regroups our favorite French candies to create a mouthwatering mosaic of flavor. From the delicate blend of almond paste, orange zest, and candied cantaloupe found in the Calissons d’Aix to the whole Provence almonds tucked into our tender Nougats and orchard-fresh fruit flavors of the Pâtes de Fruits, this assortment is a singularly splendid way to sample the essence of Southern France. Description: Anyone with an affinity for fresh citrus is sure to fall in love with this fantastic assortment. 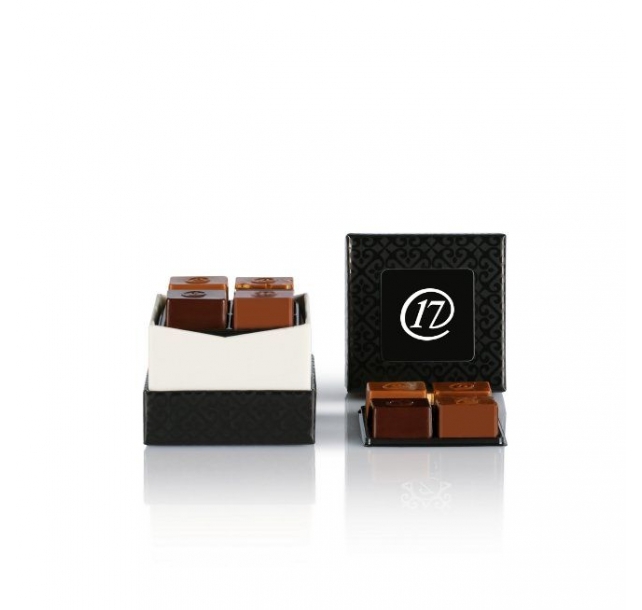 Candied Corsican orange peels tango with rich Venezuelan chocolate in 22 Orangettes, while ripe Provence-picked orange flavor permeates 15 Pâtes de Fruits, for a double-dose of orange-inspired indulgence. Description: Our premium milk chocolates begin with 100% pure cocoa butter, pressed from the finest cocoa beans in the Ivory Coast. 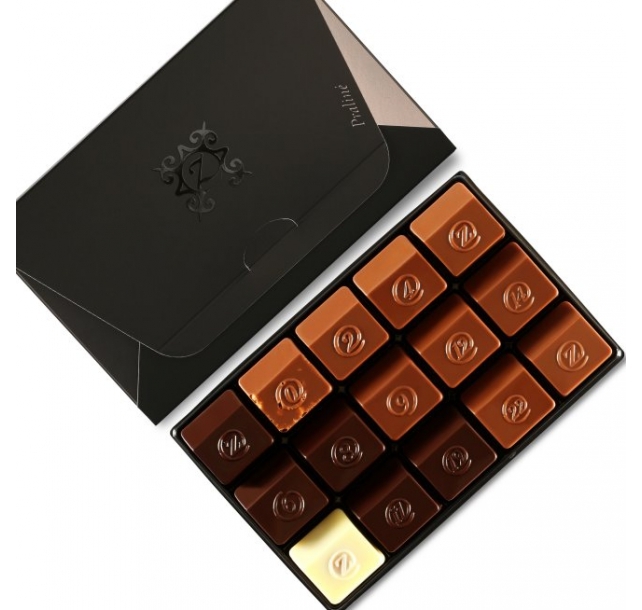 The result is a creamy confection that perfectly balances sweetness and rich chocolate flavor. Bringing together 13 of our most requested milk chocolate recipes, plus two Z chocolates, this assortment is the perfect way to pamper those with a penchant for milk chocolate. 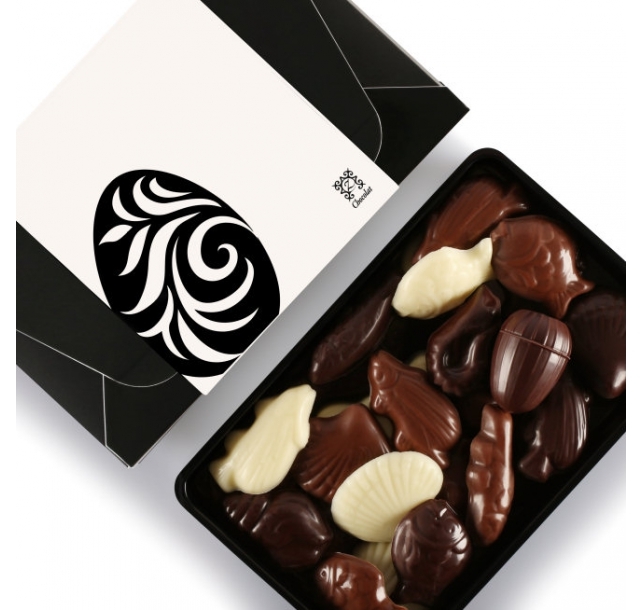 Description: The classic French praline is perfected in this extraordinary assortment. Chosen from our famous Numbered Collection, each piece features carefully ground ingredients like hazelnut, sesame seed, almond, pistachio, coriander, and walnut, blended with just the right amount of premium cocoa. With a slightly sandy texture and a rich nutty flavor, you'll understand why our pralines are sought-after worldwide. Description: Share the excitement of the new year with this festive assortment of our 15 most popular chocolates, decorated to celebrate the arrival of 2017. 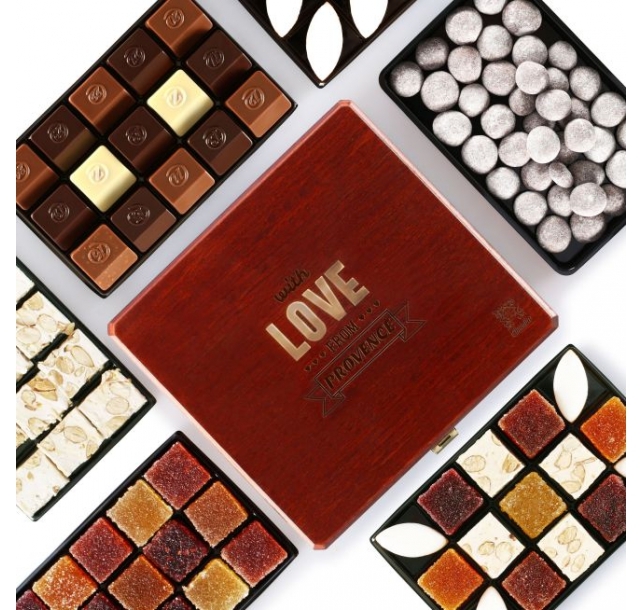 Whether transforming mere gatherings into enticing chocolate tasting events, refilling prior zChocolat keepsake boxes or as a new year party gift, this assortment is sure to confer a marvelous tasting experience. 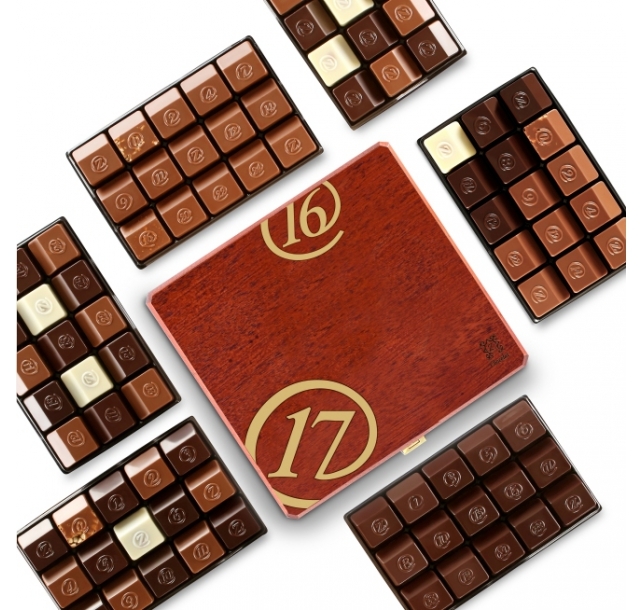 Description: Impeccable for a new years party or to help with guest placement at your dinner table, our 20 zBox 8 pack is guaranteed to appeal with its harmonious blend of textured varnish and 2 layers of our 4 favorites, including an unforgettable Italian gianduja praliné, a slow roasted hazelnut-almond praliné; a vanilla ganache infused with lavender and a creamy pistachio-almond paste in a milk chocolate couverture. 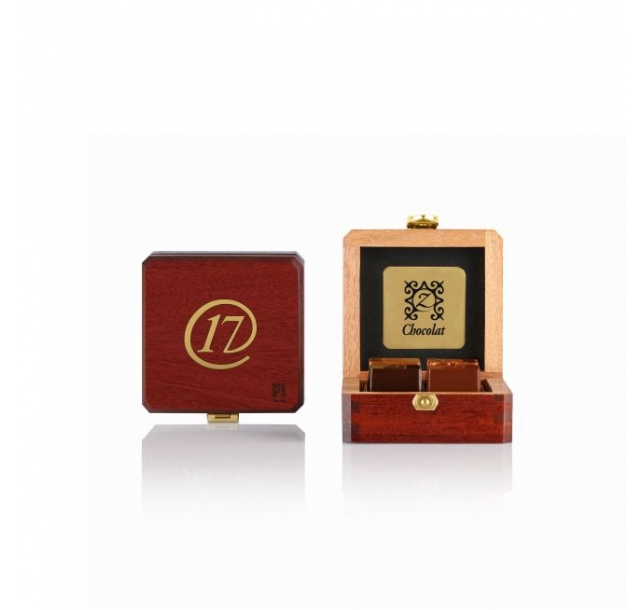 Description: Honor the New Year with elegance by offering a bold, rich-toned mahogany box. This 2017-themed box opens to a stunning 6 layers of the ultimate in fine French chocolate including our 2 most popular traditional and exotic assortments – revealing our entire numbered collection… and much more! Description: This precious mahogany box contains 4 chocolates from our numbered collection: 2, 0, 1 and 7 for '2017'. This selection will brighten anyone's New Year with an unforgettable Italian gianduja praliné, a slow roasted hazelnut-almond praliné; a vanilla ganache infused with lavender and a creamy pistachio-almond paste in a milk chocolate couverture. 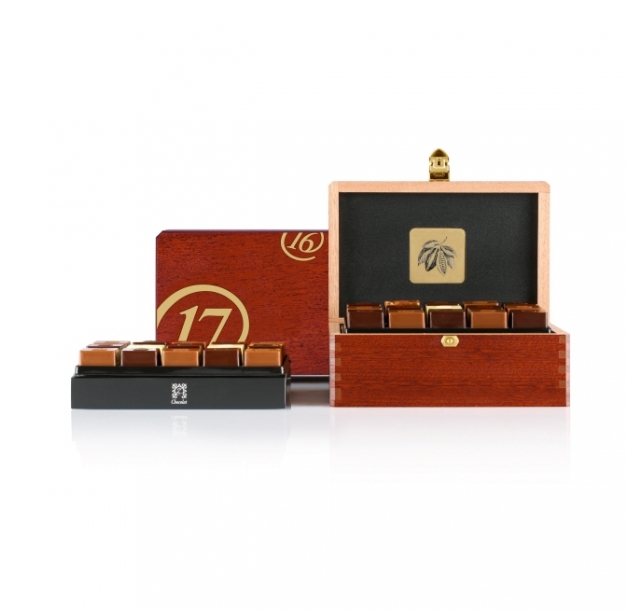 Description: This vibrant and sophisticated 2017 limited-edition polished mahogany box is graced with our entire numbered collection: the traditional assortment and the exotic assortment, 2 celebratory selections unveiling some of the most succulent Z recipes. Description: This double selection of 4 chocolates from our numbered collection: 2, 0, 1 and 7 for '2017' will brighten anyone's New Year with an unforgettable Italian gianduja praliné, a slow roasted hazelnut-almond praliné; a vanilla ganache infused with lavender and a creamy pistachio-almond paste in a milk chocolate couverture. Description: Share the excitement of the new year with this festive assortment of our 15 most popular chocolates, decorated to celebrate the arrival of the Year of the Rooster. Whether transforming mere gatherings into enticing chocolate tasting events, refilling prior zChocolat keepsake boxes or as a new year party gift, this assortment is sure to confer a marvelous tasting experience.